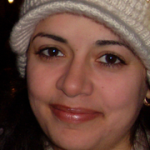 Dr. Kenza E. Benzeroual is associate professor and assistant dean for academic and student affairs at the Long Island University College of Pharmacy. Prior joining the college of pharmacy, She worked as research scientist and National Research Service Award fellow with Columbia University at the College of Physicians and Surgeons investigating brain metabolism and engineered neuronal connections. She previously served as the graduate program director and has supervised over 30 graduate and pharmacy students on research projects, mentored other academics, and chaired several committees. Her research has led to several peer-reviewed publications. She has been invited to speak at several national and international conferences on her research. She is a reviewer for several international journals, and active member in numerous scientific and professional organizations. She has several years of experience in academic pharmacy with teaching expertise in pharmacology, pharmacogenomic and curricular interests in course development. Currently, she serves as an advisor to the LIU pharmacy student chapter of Industry Pharmacy Organization (IPhO). Dr. Varun Khurana obtained his Bachelors in Pharmacy from Guru Gobind Singh Indraprastha University, Delhi,, India. He graduated with a Ph.D. in Pharmaceutical Sciences and Chemistry from reputed University of Missouri Kansas City, Kansas City, MO, USA. He is working as Formulations Scientist at Insys Therapeutics, Inc., USA, a specialty pharmaceutical company that develops and commercializes innovative supportive care products. His research experience encompasses both industry and academia. He worked on National Institutes of Health (NIH) funded research projects. His research was focused on understanding the role of drug transporters (influx as well as efflux) in disposition of various anti-cancer drugs. He not only studied the alteration of drug pharmacokinetics via drug transporters in liver but also how the modulation affects brain as well plasma pharmacokinetics of anti-cancer drugs. His research has been published in several peer-reviewed journals and books in the field of pharmaceutical sciences. His current research at Insys Therapeutics is focused on development of oral solutions and sublingual sprays for new product development. Dr. Prashansa Agrawal, working on anticancer drug targets for quite a couple of years. I have done my Ph.D from Indian Institute of Technology Roorkee, India, where I worked on drug-DNA interaction studies to find out the potential targets for anticancer drugs, which may provide an insight into the rationale for structurally based drug design. After that I joined University of Tennessee as postdoc, where I worked on soluble CD14 (sCD14), which is a serum glycoprotein that binds to the Lipid A moiety of lipopolysaccharides (LPS) with high affinity as part of the innate immune response to bacterial endotoxins. I have worked at University of Arizona and there working on structure elucidation of DNA G-quadruplex secondary structure that has recently emerged as a new class of cancer-specific molecular targets for cancer therapeutics. My work is published in peer-reviewed journals and I have been reviewer of few scientific journals. 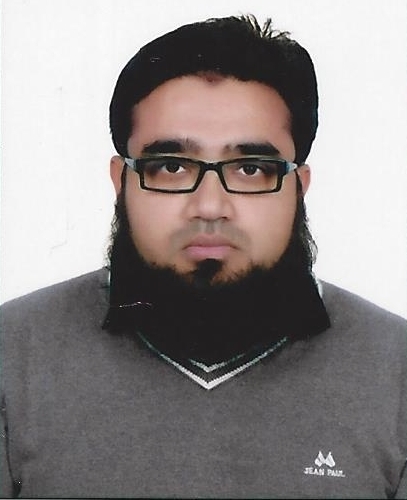 Dr. Farhan Ahmad Khan is a Clinical Pharmacologist with Ten years’ teaching experience & several publications and presently heading the department. He completed MBBS, MD in Pharmacology from Jawaharlal Nehru Medical College, Aligarh Muslim University. He is presently serving as Assistant Professor, Department of Pharmacology, Teerthanker Mahaveer Medical College & Research Centre, subsequently promoted to Associate Professor & currently working on same post. He is successfully running Drug information Centre as Drug Information Specialist. He is also an active member of Pharmacovigilance Committee, Drug & Therapeutic Committee, Institutional Animal Ethics Committee. He have more than 23 publications in peer reviewed national and international journals and presented research papers in several conferences. He was a National faculty on HOPE (handling office paediatric emergencies) by Indian academy of paediatrics. IAP (Indian academy of paediatrics) master trainer in Asthma , allergy, immunology). He is a Member of World Allergy organization and Memebr of American academy of asthma,allergy and immunology. Convenor IAP pune. He is appointed as the President of Universal health Foundation ,Involved in social activities, he was appointed Past president of Pune Doctor’s association;Maharashtra secretary Doctor’s cell. He was awarded with SamajBhushan Award for medical social contribution by Pune Muncipal corporation in 2014 and Dhanwantri Award By Maharashtra NCP Doctor’s cell in 2008. 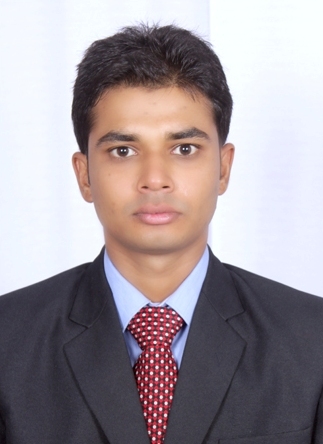 Jineetkumar B. Gawad is working as Lecturer in chemistry at SVKM's NMIMS School of Pharmacy & Technology Management Shirpur, Maharashtra,India. He received his post-graduate degree in Pharmaceutical Chemistry in 2012 from North Maharashtra University. He has published 28 papers in several national and international journals. He was co-investigator for Minor Research Project (Validated Stability Indicating liquid chromatographic methods for determination of drugs) funded by University of Mumbai in 2013. His five research papers on HPTLC received certificate of participation by “Dr. P. D. Sethi Annual Best Research Paper Award for Chemical Analysis” in the 2014. His research focuses on analytical chemistry, column chemistry, development and validation of chromatographic methods (HPLC and HPTLC) for separation/estimation of drugs from formulations. He has experience in the field of molecular modelling to find out the potent antimalerials. His research also focuses on some of the aspects of life sciences like conotoxins-potential pain killers, ribosomes, gamma peroxisome proliferator activator inhibitors and diabetes mellitus etc. 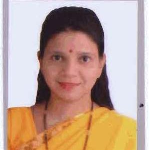 Geeta Shanbhag is working as Deputy General Manager – Pharmacovigilance and Medico-regulatory affairs at Ipca Laboratories Ltd.
She has more than two decades of experience in pharmaceutical industry, inclusive of medico-marketing, regulatory affairs, clinical research, bioequivalence studies, toxicity studies and pharmacovigilance. She was involved in designing of clinical trial protocols, monitoring of clinical trials along with preparation of clinical study report and publishing it. More than 100 bioequivalence studies were coordinated by her, right from review of BE protocol, monitoring of the studies to review of BE report. She has also coordinated Toxicity studies of more than 40 APIs/formulations as per Schedule Y.
Dr. Sumeet Gupta working as Professor & Head, Pharmacology, M. M. College of Pharmacy, M. M. University (NAAC “A” grade Deemed), Mullana, Ambala, Haryana accredited by Scientific and Industrial Research Organization under Department of Science and Technology, Ministry of Science and Technology, Government of India . 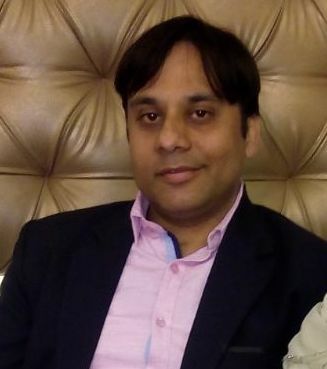 He was awarded the degree of Doctor of Philosophy (Ph.D) under the faculty of Pharmaceutical Sciences, Guru Nanak Dev University, Amritsar (‘A’ Grade by NAAC, Centre with Potential for Excellence in Particular Area) for his thesis entitled “Pharmacogenomics of antihypertensive therapy in rural population of Haryana”. He has more than 12 years of teaching and research experience in the area of “Preclinical and Clinical Pharmacology”. He has published various research & review articles with high impact factor in peer review National and International Journals. 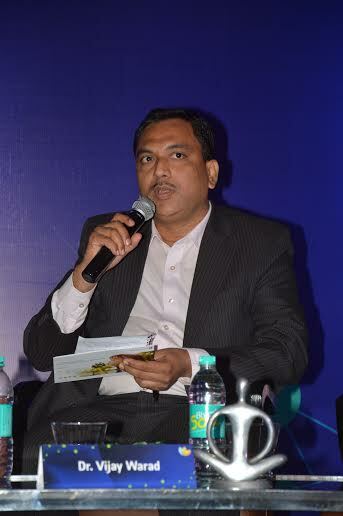 He has also published 2 books and one chapter with International Publishers. Recently, he was organized as an Organizing secretary in North Zone Indian Pharmacological Society conference sponsored by Medical council of India, Department of Biotechnology, and two industries (Cipla Pharmaceuticals and Rolex equipments) which was held in M M University on October 2014. He was received Bursary Award by Elsevier publishers, United Kingdom for his best nutraceutical research in Pharm-nutrition conference. Additionally he has received International support travel grant from centre for International Co-operation in Science. He was received Jewel of India award in New Delhi for his academic excellence. He has got collaborated with CPEPA project on “diabetes” with Guru Nanak Dev University, Amritsar. His research work also short listed for research ward grant under University Grant Commission. Dr. Egbewale Bolaji is a Senior Lecturer in Biostatistics in the Department of Community Medicine, Ladoke Akintola University of Technology, Nigeria. He teaches modules in Medical statistics and Research Methodology across a wide range of undergraduate and post graduate programmes including both Post Graduate Diploma PGD and Master in Public Health MPH in the Department of Community Medicine. He has supervised several undergraduate and postgraduate students, authored and co-authored many research articles that are already published in peer-review medical journals. As the University pioneer Biostatistician, he has played significant roles in the development of curriculum for several undergraduate and post graduate programmes in Medical statistics and Research Methodology. Dr. Egbewale’s regularly offers professional advice regarding design and statistical analysis of medical studies to students and biomedical workers both within and outside the University. He is presently the postgraduate study coordinator, comprising of the Postgraduate Diploma PGD and Master in Public Health programmes in the Department of Community Medicine, Ladoke Akintola University of Technology, Nigeria. In 2010, while a PhD student in the United Kingdom, he was nominated as a Keele University representative at the Queen’s national award ceremony for academic excellence held in the Buckingham palace. Dr. Egbewale's Research interest includes Design and Statistical analysis of Randomized Controlled Trials, Biostatistics, Simulation, Web-based tool development, Measuring relative bias, precision, efficiency and power of statistical methods in Randomized Controlled Trials, Epidemiology, Evaluation of Public health programs or interventions, Statistical modelling, Covariate selection, Infectious Diseases; HIV/AIDS, Malaria, Tuberculosis, etc, Maternal and Child Health, Health of the Elderly/Aged, eHealth, Health survey, Screening etc. Dr. Sunil Shrestha is a Researcher-Academician-entrepreneur-social worker from the beautiful city Kathmandu of Nepal which is located landlocked between India and China. He is the founding member and works in capacity of Founder President and Research Director at Nepal Health Research and Innovation Foundation (NHRIF), an NGO Located at Kathmandu, Nepal. He earned his Bachelor in Pharmacy Degree (2012) from Asian College for Advanced Studies which isaffiliated to Purbanchal University, Nepal. He is Registered Pharmacist of Nepal Pharmacy Council (NPC). After bachelor he received his Doctor of Pharmacy, Pharm.D (Post Baccalaureate) from Kathmandu University (2015). He is working in pharmaceutical sector, he is social activist working against Domestic violence in Nepal. He had done many photo exhibitions on domestic violence on major cities of Nepal like Kathmandu, Lalitpur, Birgunj etc. and other group exhibitions. He is also Honoree member of Biotechnology Society of Nepal. Dr. Jacqueline E. Campbell is presently working as a lecturer at the University of the West Indies, Mona, Jamaica and also as a family physician in private practice. Her training and experience as a medical doctor and pharmacologist have equipped her with skills which have allowed her to be a multifaceted individual capable of teaching a variety of students. Currently she teaches undergraduate (medical, pharmacy, pharmacology) students; graduate (pharmacology and pharmacy students and Doctor of Medicine, Family Medicine residents). Additionally, she supervises the research of undergraduate and graduate pharmacology students. She has utilized her expertise in pharmacology and Complementary and Alternative Medicine (CAM) to create an innovative module for the teaching of CAM to third year medical students and family medicine residents in years 3 and 4 of the Doctor of Medicine in Family Medicine Programme. 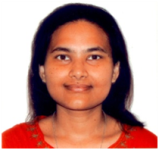 Research arising from her PhD thesis has led to specialization in research in the area of Pharmacovigilance. Findings from her PhD research and subsequent research have enabled her to forge partnerships with stakeholders such as the Ministry of Health in Jamaica and pharmaceutical companies resulting in presentations at conferences, training for staff members; and the development of an informatics portal. Emmanuel Ifeanyi Obeagu is one of Medicine's leading celebrities, known for leadership skills and breakthrough research potential. Emmanuel Ifeanyi Obeagu starred in Medicine. 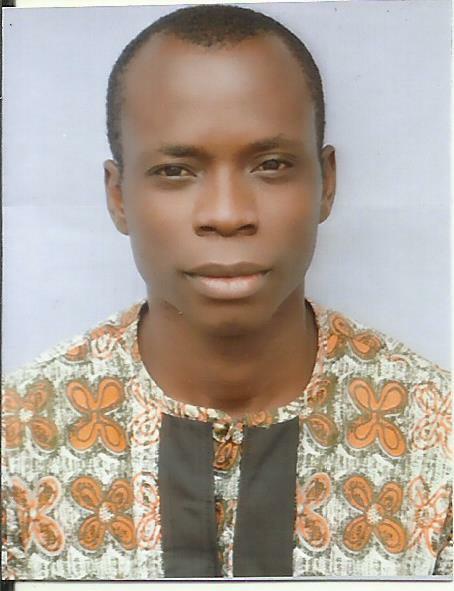 Emmanuel Ifeanyi Obeagu is working in Diagnostic Laboratory Unit, Department of University Health Services, Michael Okpara University of Agriculture, Umudike, Abia State, Nigeria. He was born in Amede, Eha- Amufu, Enugu State, Nigeria and is pursuing his PhD in Haematology, received his M.Sc in Haematology in Imo State University, Owerri. He attained Bachelor of Medical Laboratory Science in Ebonyi State University, Abakaliki, Nigeria. Emmanuel Ifeanyi Obeagu received 2 international research awards in 2017 as World Academic Champion in Medicine and Fellow, Directorate of Medicine, IASR, World Academic Champion in Diagnostics and Fellow, Directorate of Diagnostics, IASR. He received 2018 Best Editor award by Annals of Clinical and Laboratory Research. He was included among world 500 most influential public health experts on earth 2017 and included among Global Infectious Diseases Control Experts. He equally received more than 79 International awards and recognitions He is a research-oriented person. He has published more than 390 research papers and invited and reviewed more than 400 papers in reputable international journals and editor and reviewer to more than 130 International Journals. He was promoted to Editor-in Chief of Journal of Biomedical Research and Review on 4th September, 2018.He attended as a delegate, plenary speaker, keynote speaker and organizing committee member of international conferences. He is an eminent scholar and a researcher. He is a prolific writer and has a very high research gate score. 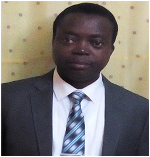 Emmanuel Ifeanyi Obeagu research interests include Haematology and Blood Transfusion, Immunology, and Public Health. He has been enlightening the world with his scientific contributions.